Laptop cases are probably just as important investment as that made in the laptop itself. Imagine spending all that money only to damage your pride and joy while carrying it from A to B! Our selection of laptop sleeves offers a range of sizes so you can be sure to find a suitable fit, enabling you to properly protect your technology. 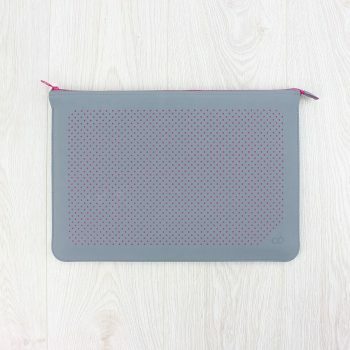 The C6 perforated microfibre zip sleeves for MacBook Pro have a modern simple design with a premium feel and are luxurious to the touch.